"While a lot of attention has been focused on improving the 'cultural competency' of clinical care -- caring for patients in ways that accommodate their cultural and language differences -- we are concerned that we haven't paid as much attention to the scientific research process," said David Chang, from Massachusetts General Hospital's department of surgery. "If the science upon which clinical guidelines are based was not done in a way that respects racial differences, there is little that can be done at the point of delivery to improve patient care," Chang added in a hospital news release. U.S. Preventive Services Task Force guidelines recommend beginning breast cancer screening at age 50 for women at average risk. But it hasn't been clear if a single guideline can be applied to different racial or ethnic groups, the researchers noted. To learn more, the investigators analyzed U.S. National Cancer Institute data on women aged 40 to 75 who were diagnosed with breast cancer between 1973 and 2010. The average age at diagnosis was 59 for white women, 56 for black women, 55 for Hispanic women and 46 for Asian women, the findings showed. Percentages of patients diagnosed before age 50 were: 31 percent for blacks, 35 percent for Hispanics, 33 percent for Asians, and 24 percent for whites. Advanced cancers were diagnosed in 47 percent of black patients, 43 percent of Hispanic patients, 37 percent of white patients and 36 percent of Asian patients, according to the study. 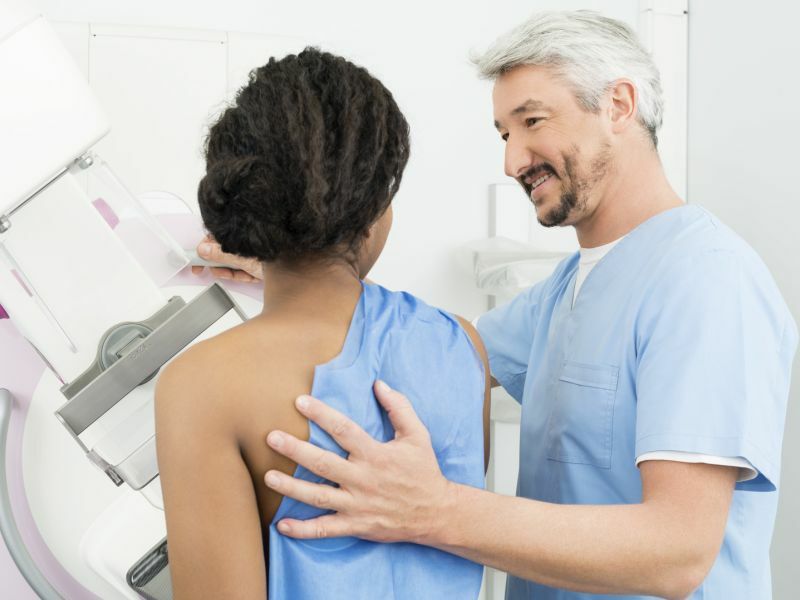 The researchers said their findings indicate that some groups of nonwhite women should begin breast cancer screening at an earlier age than whites. The report was published March 7 in the journal JAMA Surgery. "The situation with breast cancer is one of the best examples of how science done without regard to racial differences can produce guidelines that would be ultimately harmful to minority patients," Chang explained. "Flawed science can harm more people than flawed clinical care, which is why it is so important to detect and eventually eliminate these sorts of hidden biases in the scientific literature," he added.